Once the covers of paperbacks moved beyond the typographic excellence of the early Penguins, freedom was given to designers to dig deep into the catalogues of even the most obscure artists to find the image that just suited that particular book. So it is that it is not difficult to create a veritable art gallery from nothing more than the covers of the books on your own shelves. 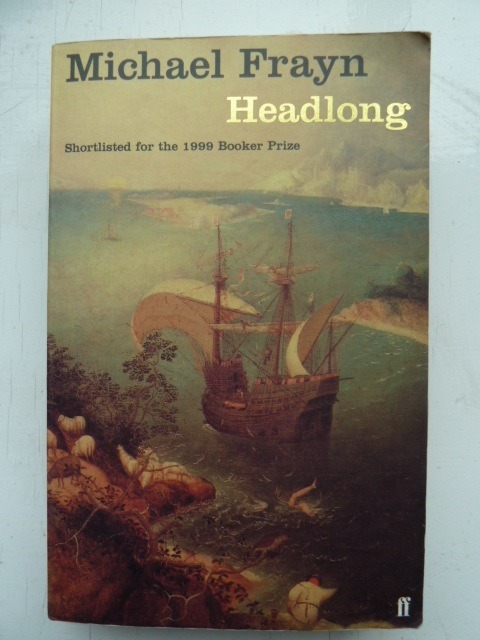 Most, helpfully, provide the title of the work and its artist with grateful thanks to the Bridgeman Art Library (as appropriate) thus establishing the artistic credentials of the front cover - a far cry indeed from the lurid covers of the earlier pulps with their attractively dishevelled heroines. It is gratifying to see the happy conjunction of artist with author in so many modern paperbacks. For example, James Hogg could well have used Henry Fuseli's haunting image as the model for his justified sinner, this detail being from the latter's 'The Ezzelin Bracciafero and the dead Meduna'. An alleged work by Peter Breugel is central to the plot of Michael Frayn's 'Headlong', and Breugel's 'The Fall of Icarus' provides one of the more instantly recognisable book covers of recent years. 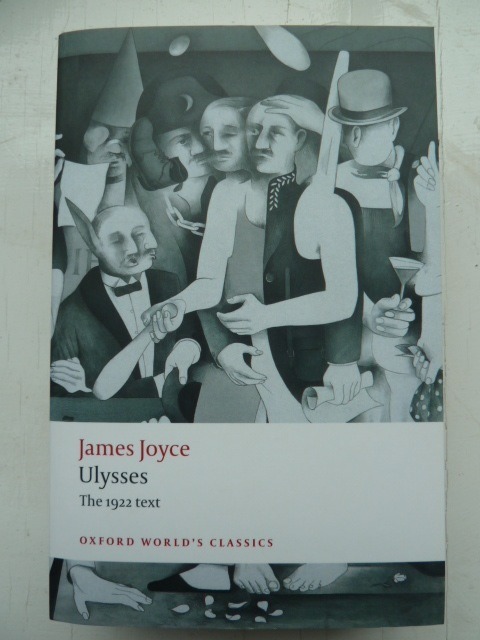 Richard Hamilton is well known for his images from Joyce and Oxford World's Classics used a detail from Hamilton's 'Transmogrification of Bloom' (from the Circe episode) for the cover of their 2008 re-issue of 'Ulysses'. 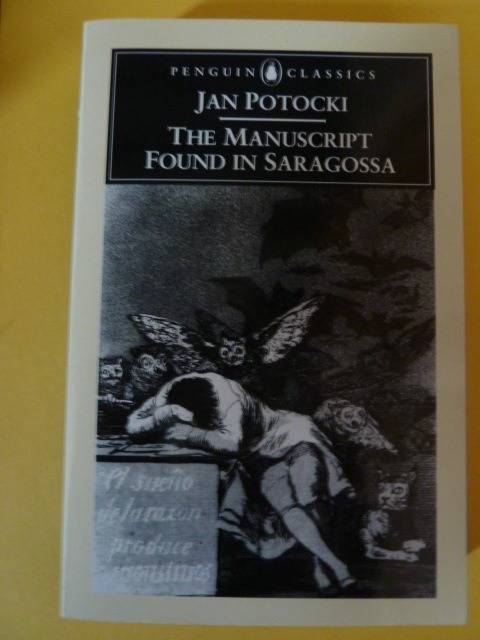 Goya was a prolific artist of the fantastic and hence his 'The Dream of Reason Produces Monsters' is an ideal advertisement for the Polish writer Jan Potocki's 'Saragossa Manuscript', with its tales of gothic horror and the supernatural. 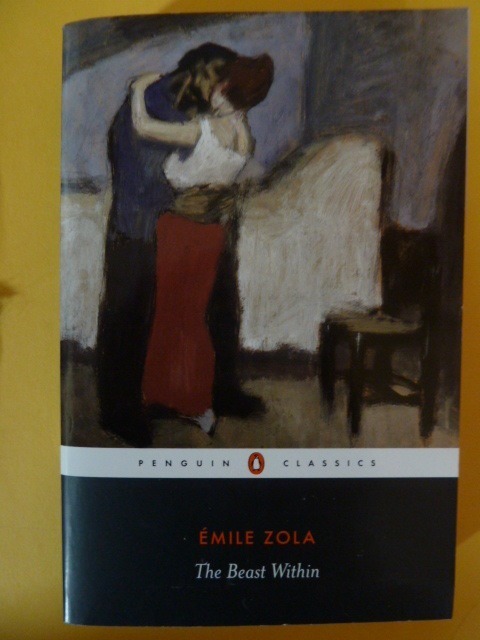 Another happy pairing is Picasso's 'The Appointment' on the cover of the Penguin edition of Zola's 'The Beast Within', a dark tale of jealousy and murder. 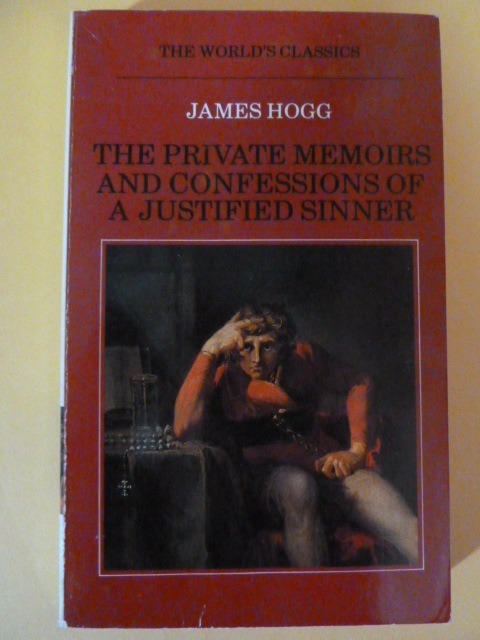 The cover forms a good introduction to the sordid world described by the author. 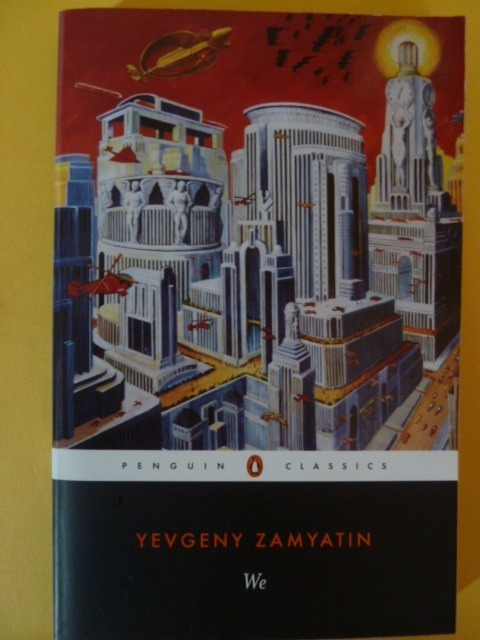 Yevgeny Zemyatin's futuristic novel 'We', set in a dystopian 26th century and first published in 1924, was the inspiration for Orwell's '1984' and Anton Brzezinski's 'Painting of Futuristic Buildings and City' is a suitably sinister vision from the late 20th century artist. Readers of this blog will be aware of my penchant for ghost stories and if there is one artist whose work cries out to be used as the cover for such works it is surely the Leeds artist John Atkinson Grimshaw (1836-1893). Grimshaw was the master of the dismal deserted byways of northern towns and villages. 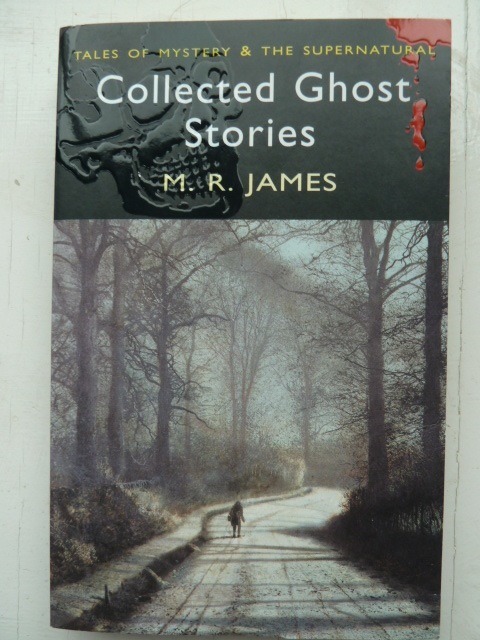 A good example of the kind ('Moonlight Walk') is found, appropriately enough on the cover of the 'Collected Ghost Stories' of M R James (Wordsworth Editions). I, for one, would not want to catch up with that solitary figure, nor, indeed would I want it to catch up with me. 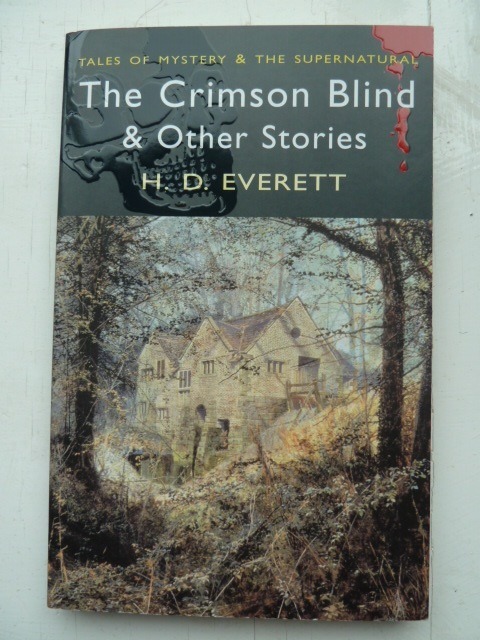 From the same publisher we have Atkinson Grimshaw again, this time in haunted house mode ('Autumn Glory, the Old Mill'), on the cover of Mrs Everett's ghost stories. When he was rich and famous, Grimshaw took a fine castellated house on the north cliff in Scarborough, far enough away from the city grime. 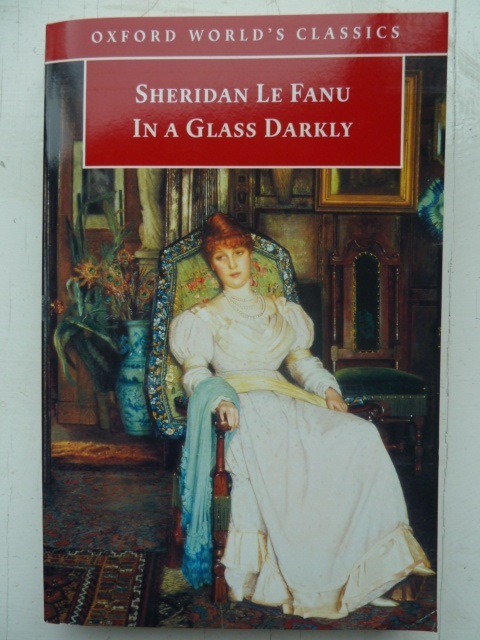 Another of his works, 'Dulce Domum', on the cover of Le Fanu's 'In a Glass Darkly' is perhaps showing us a vision of his ideal home life in his later period. 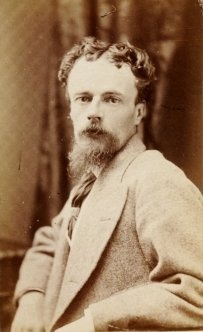 Another Victorian artist, John Martin, is justly famous for his visions of sublime and terrifying scenes, so is well represented on the covers of books of gothic horror. 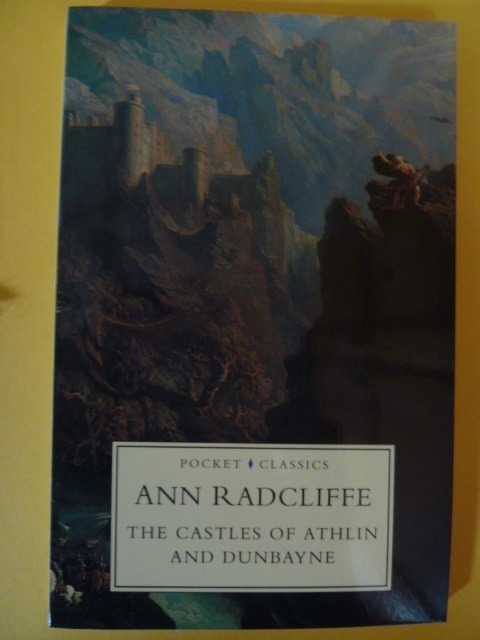 Thus we have Mrs Radcliffe's 'Castles of Athlin and Dunblayne' adorned with Martin's portrayal of 'The Bard', based on Thomas Gray's poem. It would be churlish to note that the setting of the poem is Wales and the castle Martin depicts is derived from Harlech. Gothic sublimity knows no boundaries. 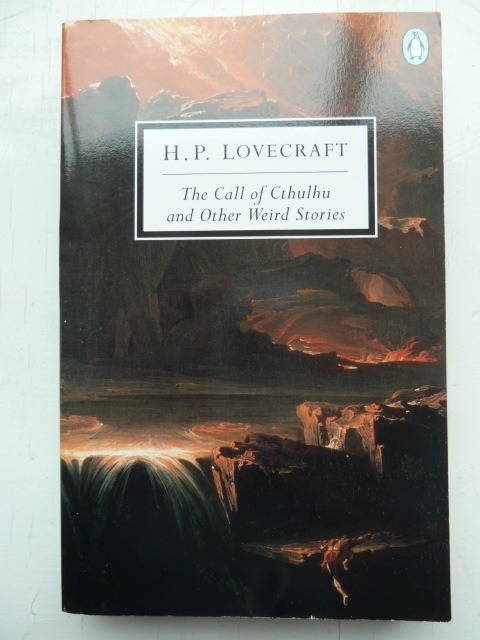 We find Martin again on the cover of Lovecraft's 'Call of Cthulhu and Other Weird Stories'. This time it is Sardak in search of the Waters of Oblivion, which mythical hero could well be one of Lovecraft's seekers after strange Gods in forbidden regions. 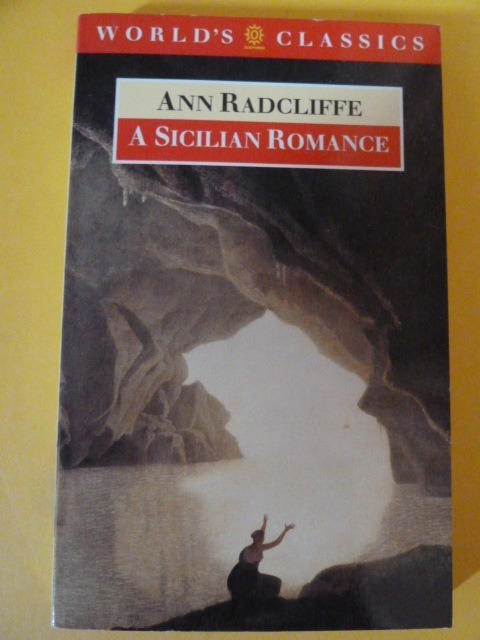 Back to Mrs Radcliffe and we find a typically Radcliffian heroine in Joseph Wright of Derby's 'Grotto in the Gulf of Salernum'. 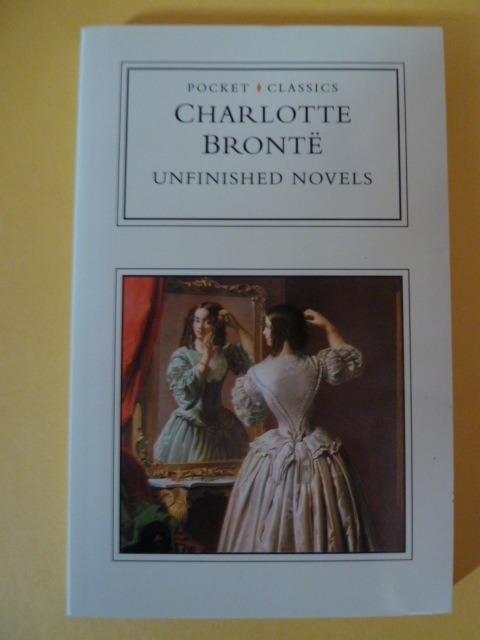 Charlotte Bronte's 'Unfinished Novels' with an engaging picture by the early 19th century artist C R Leslie ('Dressed to Kill'). The model could well be one of Charlotte's romantic heroines from the Angrian sagas, such as Lady Zenobia Ellrington or Caroline Vernon. 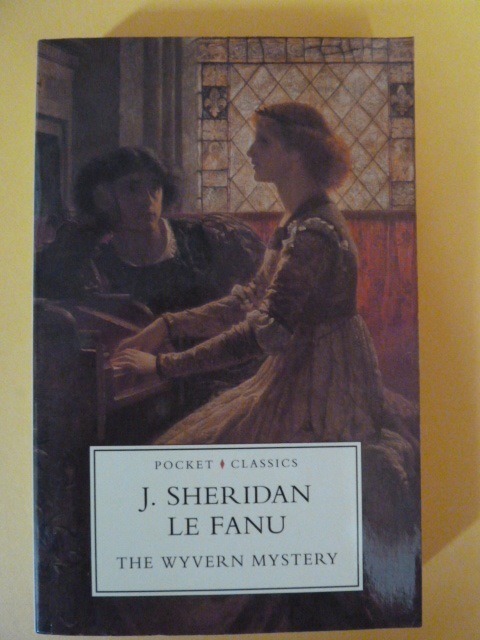 The later 19th century artist Sir Frank Dicksee's 'Harmony' on the cover of Sheridan Le Fanu's 'The Wyvern Mystery', though Le Fanu's heroine Alice Maybell has anything but a harmonious time at Carwell Grange as the mystery unravels. 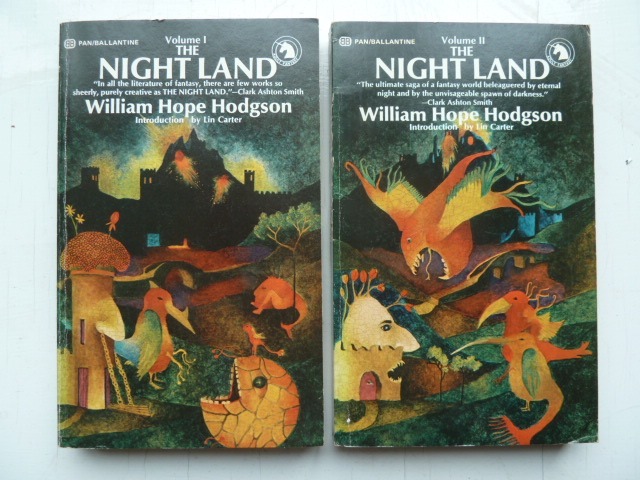 William Hope Hodgson's epic saga 'The Night Land' is peopled with strange creatures and so covers after Hieronymus Bosch on the two volumes of the Pan/Ballantine edition are certainly apposite. 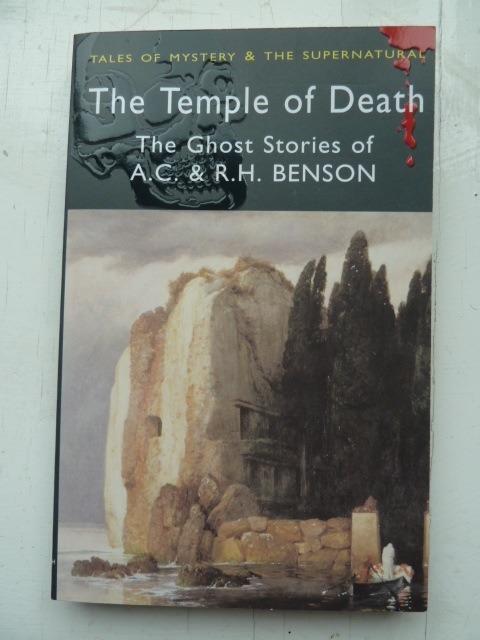 Finally the conjunction of the Swiss symbolist Arnold Bocklin's enigmatic 'The Isle of the Dead' (partly based on the English cemetery at Florence where his baby daughter Maria had been buried) with the Benson brother's ghost stories collected in 'The Temple of Death'. 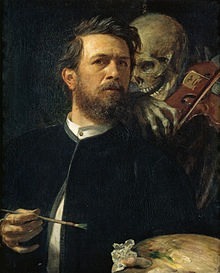 Bocklin made at least five versions of his masterpiece and his obsession with mortality is evident also in his self portrait of 1872.
what a great subject for a post! I never thought there were so many paintings on the cover of books.